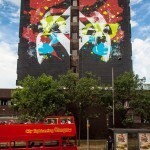 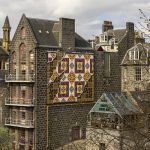 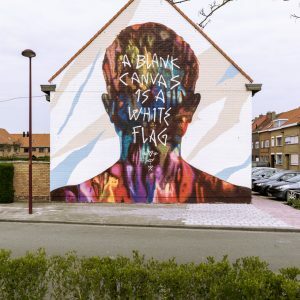 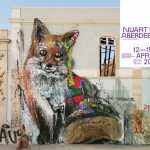 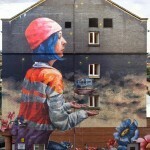 Nuart festival once again teamed up with Amnesty International during recently held Nuart Aberdeen 2018. 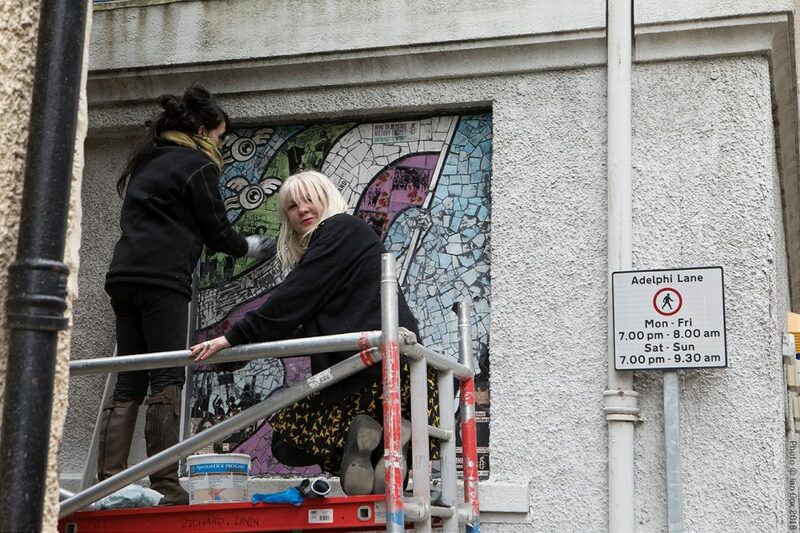 After working with Ricky Lee Gordon during their 2017 edition in Stavanger, this time they joined forces with contemporary ceramicist Carrie Reichardt to create a piece of permanent public art that will highlight Amnesty International’s project in support of women human rights defenders in the UK. 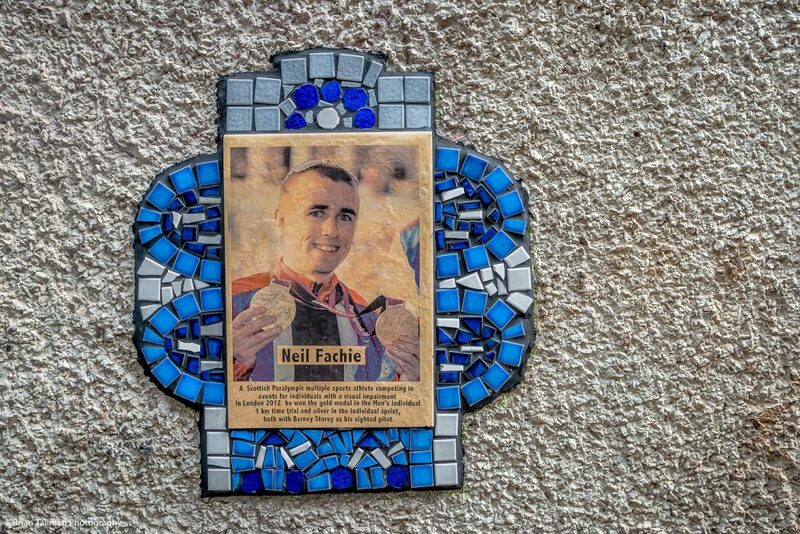 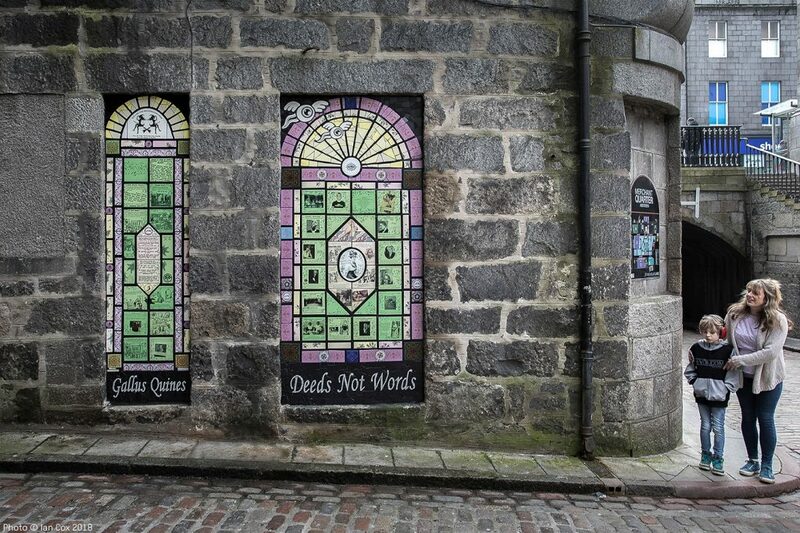 After months of collecting imagery and information from different sources, the artist arrived to Granite City with custom created tiles that celebrates Scotland’s woman human rights defenders. 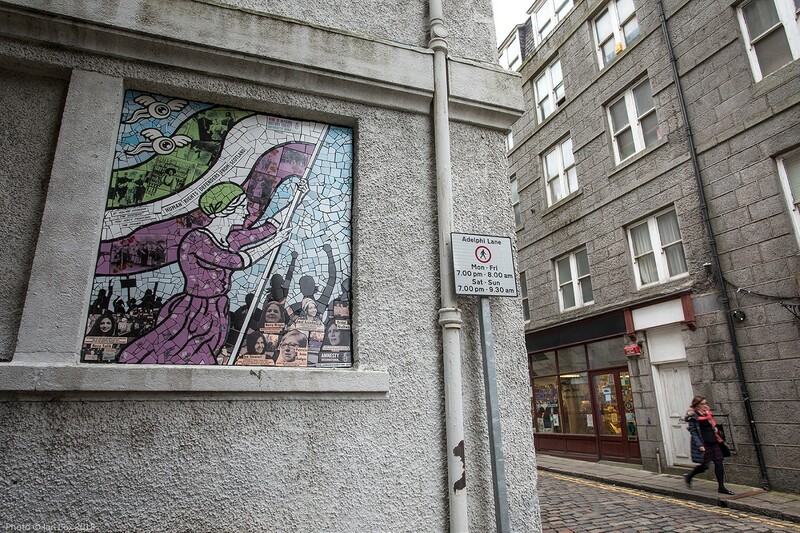 Broken into small pieces and than installed on a historic location in the old part of the city, ‘Suffragette Spirit’ is an informative and thought provoking public piece created using classic revolutionary imagery and the suffragette signature colors of purple, green and white. 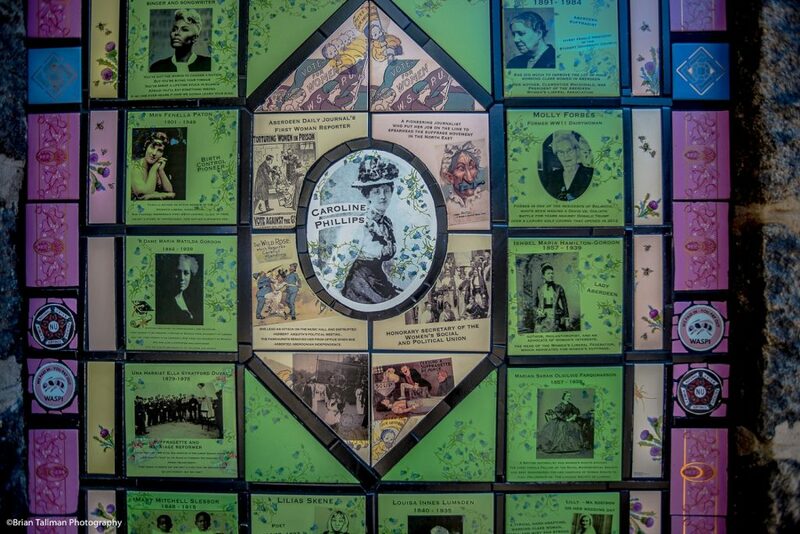 Portraying milestone moments of the movement that lead to women finally getting the right to vote, the piece is an incredible roll call of influential female figures from the city and the region, celebrating the spirit that still lives on in Aberdeen. 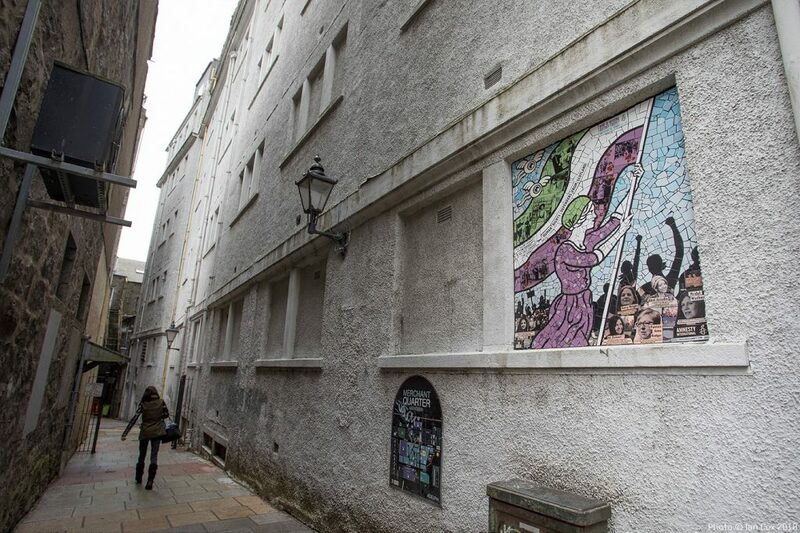 During her visit Reichardt managed to complete two other works on different locations – ‘We are Witches’ and ‘Trailblazing Women of Aberdeen’. Inspired by the traditional stain glass windows the pieces aesthetically connect to the cultural heritage, while depicting the life and deeds of historical local women, as well as highlighting contemporary women that continue the fight for equal rights today. 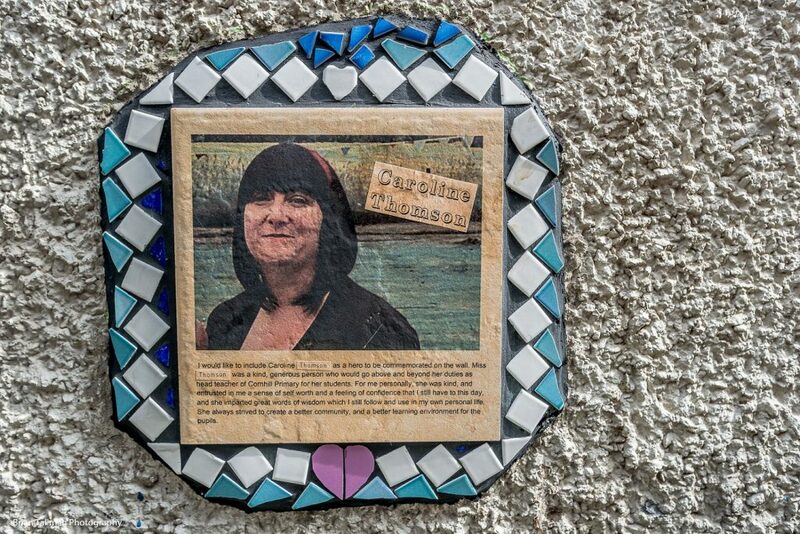 Finally, the artist also hosted a workshop for the local community with an idea to create a monument to local ‘unsung heroes’. 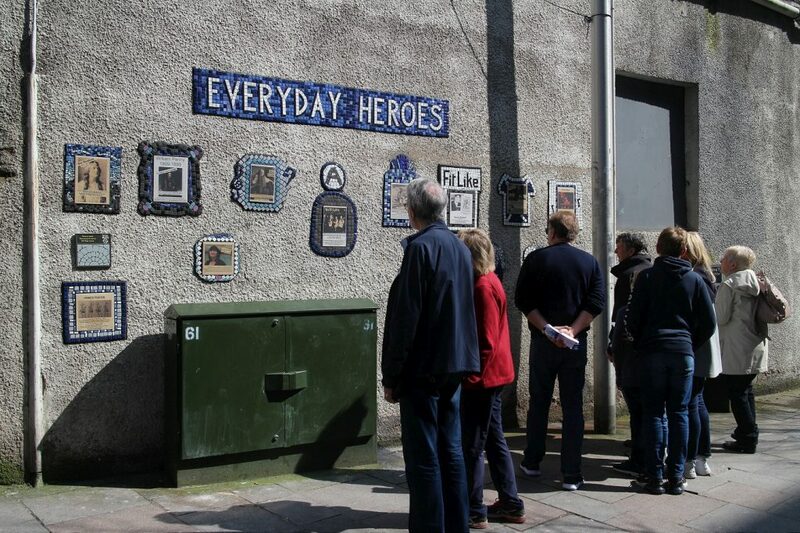 Giving the people full power to choose who to portray and why, ‘Everyday Heroes’, consists of a collection of ceramic plaques designed, cut and installed by the participants. 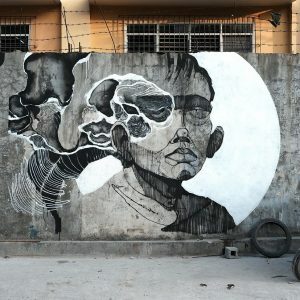 Along with celebrating people loved and respected by their fellow citizens, the project also empowers the locals to claim back the public space and use it for creative expression and communication, an effort that’s been on Nuarts agenda since their beginnings almost 2 decades ago.